Let’s assume it’s the former. Han Solo in Carbonite Cake for my husband’s birthday. Took me 2 years to get the courage to put it together but I came through. Chocolate cake with caramel buttercream, covered in chocolate fondant. Han is modeling chocolate. Courage? I know what you mean. 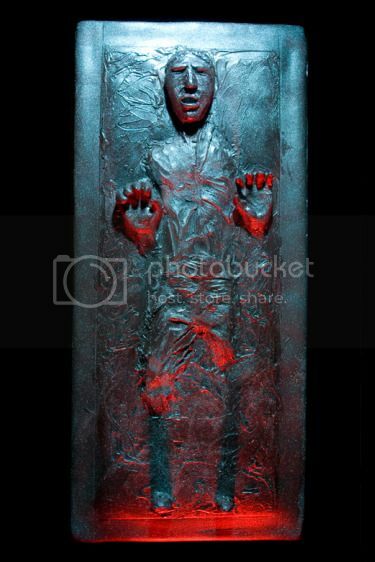 I’m always afraid of getting my finger stuck in some carbonite and never getting it back.